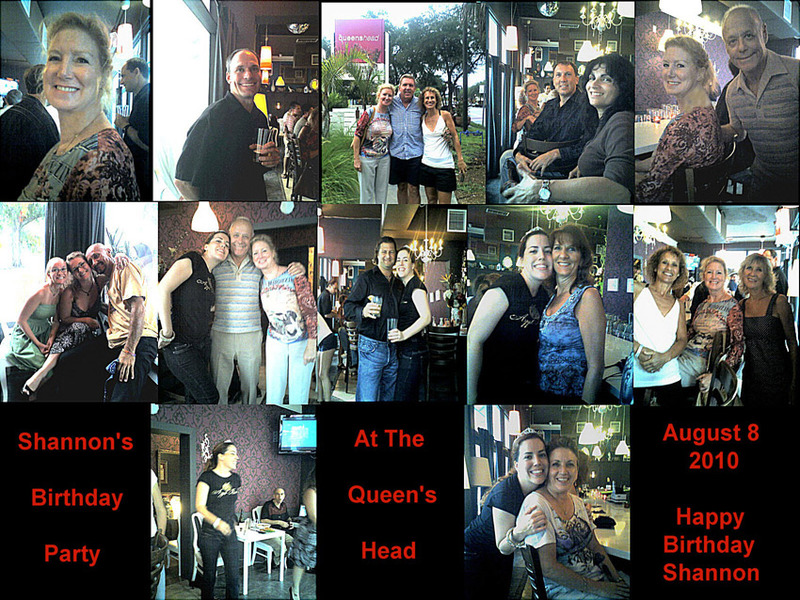 Shannon picked a great place, Queens Head, for her birthday party but picked a terrible evening. It was like standing under Niagara Falls outside. Queens Head had a beautiful and spacious area outside but not that big of a place inside. We were stuck inside because of the awful rainstorm. The photographer also forgot his camera and the collage is made up of cell phone pictures. However we had a joyous and social evening for Shannon’s birthday. Thanks for the party Shannon and HAPPY BIRTHDAY.